Item number B731 a-f from the MOA: University of British Columbia. 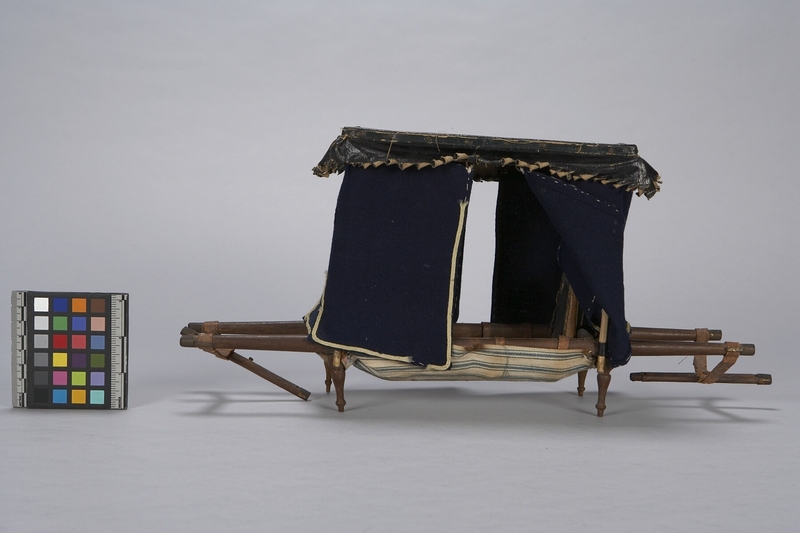 Model palanquin carriage. 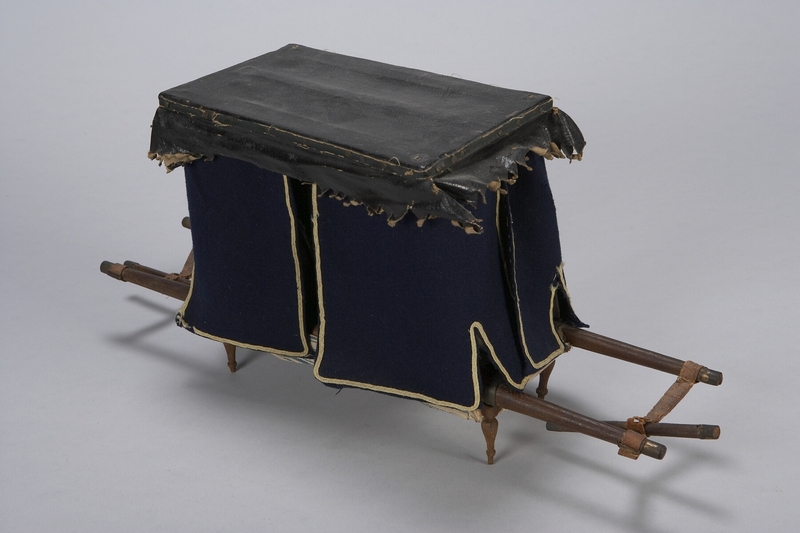 Carriage has a black leather canopy top and valence with a tooth patterned edge, navy blue curtains with yellow trim, and a wooden carrying frame with brass metal support straps. Baluster shaped legs. Inside is lined with blue and white striped cloth and is accompanied by a black leather seat and floor board. 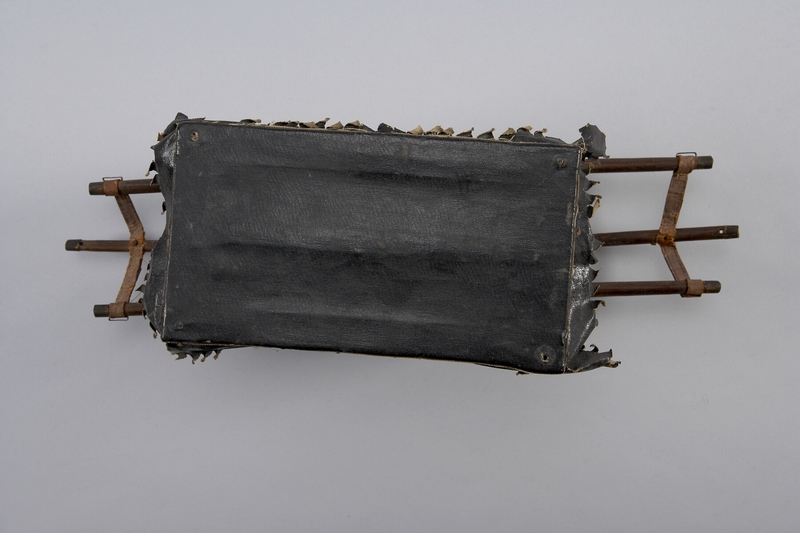 Model of carriage to transport women, human porters carried shafts fore and aft.